AnyMP4 PDF Converter for Mac 3.2.8 Free Download - Convert PDF files to Text, Word, Excel, EPUB, and HTML for Mac. AnyMP4 PDF Converter for Mac is one specially designed PDF application for Mac, it can efficiently convert any PDF files to document formats, like Text, Word, Excel, EPUB, and HTML on Mac. And also it supports the OCR technology and converting PDF file to daily used image files, like TIFF, JPEG, PNG, GIF, BMP, TGA, PPM, and JPEG2000. Moreover, users can set output settings( image size, color, etc.) to customize the output image file. Aiseesoft Mac PDF Converter Ultimate can easily convert PDF file to Text, Word, Excel, EPUB, HTML, etc. on Mac. This PDF software is able to convert any PDF files to .jpg, .png, .bmp, .gif, .tiff, etc. image formats on Mac. Then users could freely enjoy the output image files with image viewer on Mac. Also you can transfer the images to portable devices for enjoyment. With this OCR technology, it could recognize the texts in the PDF file accurately, and turns the image-based PDF conversion into reality. To help the software to recognize the text in image-based PDF, users could choose the output language as consistent as possible with the original file in order to improve the accuracy of the output document in the preference window. Statement: First, please download the orginal installation package by clicking the download link. Of course you may also download it from the publisher's website. Using AnyMP4 PDF Converter for Mac crack, key, patch, serial number, registration code, keygen is illegal. The download file hosted at publisher website. We do not provide any download link points to Rapidshare, Hotfile, Depositfiles, Mediafire, Filefactory, etc. or obtained from file sharing programs such as Limewire, Kazaa, Imesh, Ares, BearShare, BitTorrent, WinMX etc. Software piracy is theft. 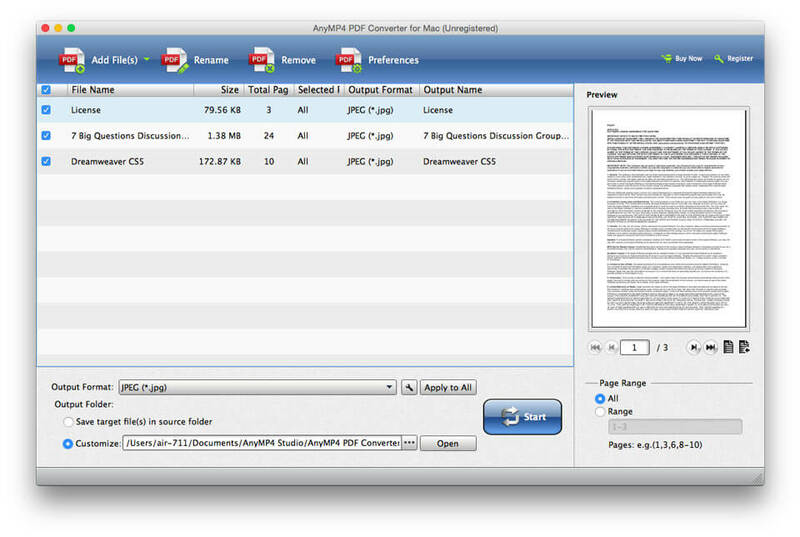 If you like AnyMP4 PDF Converter for Mac please buy it.